Filed to: Dale Earnhardt Jr.Filed to: Dale Earnhardt Jr.
Dale Earnhardt Jr. has been medically cleared to return to NASCAR after a test session at Darlington Raceway, the series announced. Earnhardt sat out the last half of 2016 to recover from a concussion, and will return to competition at the Daytona 500. Earnhardt completed 185 laps in a nearly five-hour test at Darlington, working with his crew chief from the No. 88 Hendrick Motorsports Chevrolet, Greg Ives. I feel great, and I’m excited to officially be back. I expected things to go really well yesterday, and that’s exactly what happened. Actually getting in a race car was an important final step, and it gives me a ton of confidence going into 2017. Thanks to the staff at Darlington for hosting our team and to NASCAR for giving us the opportunity to put a car on the track. I’ll do more testing in January to help knock the rust off. When it’s time to go to Daytona, I’ll be ready. Earnhardt has said he felt as if having to sit out from racing with a concussion left him with a lack of purpose in his life. Fortunately, he channeled this frustration into focusing on his recovery, so that he could return to his job when it was safe to do so. Earnhardt was cleared for his return Wednesday night by Dr. Micky Collins, medical director of the University of Pittsburgh Medical Center Sports Concussion Medicine Program. Collins consulted with Charlotte neurosurgeon Dr. Jerry Petty, who was at the Darlington test. Collins told NASCAR that he was impressed by Earnhardt’s commitment to his recovery, and the medical team working with him now feels good about his long-term health. Concussions are the worst kind of injury. Healing requires you to take a break from your normal activities, even though you often don’t have an outwardly visible injury. Many drivers who don’t have the following Dale Jr. has often don’t feel as if they can do and keep their rides in the future. Hopefully Earnhardt’s highly visible decision to take time off and let his concussion heal properly will influence others to do the same in the future, and put pressure on teams and series to give their drivers a break and work with them more when they have to sit out for their own well being. The long-term consequences of letting concussions go untreated are too horrible to ignore. Many older NASCAR drivers are among those likely suffering from chronic traumatic encephalopathy—a degenerative disease more commonly associated with contact sports such as boxing and football, but that can also happen from an accumulation of hard crashes that are somewhat common in series like NASCAR. 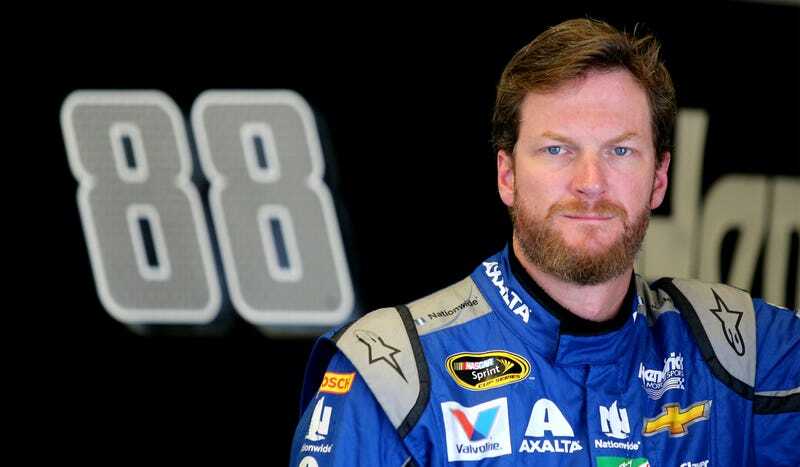 Earnhardt missed 18 races this season, with Alex Bowman and Jeff Gordon driving the No. 88 while he recovered. Bowman was impressive enough that Earnhardt’s team will let him drive the No. 88 in The Clash at Daytona International Speedway, which happens before the Daytona 500 and features pole position winners from the previous year. Bowman scored the No. 88's only pole position of the two fill-in drivers.